was soooo much better than i was expecting, if i am being completely honest. i knew olivia would be AWESOME and totally worth every moment, but i was fully expecting hours upon hours of piano playing. that was not the case at all!!! ms. ware's students each played one piece and most of them were very short. total recital time LESS THAN ONE HOUR!!! 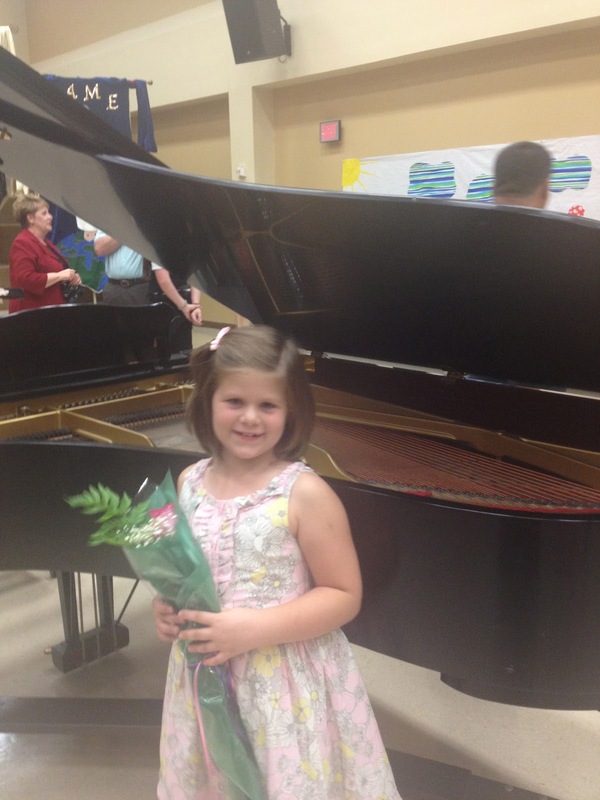 if you have ever been to a piano recital you know what a big deal that is. just another reason why we LOVE our fabulous teacher. :) it was really fun to watch olivia play for a big audience and do such a wonderful job. she was TERRIFIC!! she was the youngest student, as well as the student who had been taking lessons for the least amount of time (4 months), so she was first up AND got to play a duet with her teacher. our beautiful, talented, outstanding pianist. o and her teacher, ms. ware. truly, mark and i were so proud of her. she doesn't LOVE to practice (what child really does), but she does LOVE piano and learning how to play. she LOVES sitting down at the piano and playing with her daddy. 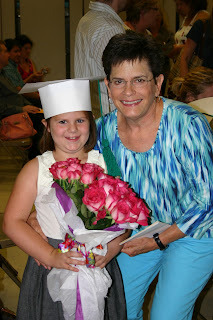 she LOVES her sweet and encouraging teacher, ms. ware. she LOVES the feeling of accomplishment when she has to work hard to learn something new and something that does not come easily to her. it has been such a joy to witness all of these LOVES over the last four months. can't wait to see what she will accomplish and perform at the next recital. way to go o!!! was a special night. we celebrated olivia's year of kindergarten by watching her march down the aisle of her school cafeteria, wearing her paper homemade graduation hat and yarn tassel, and snapping a ba-jillion photos of our little girl. 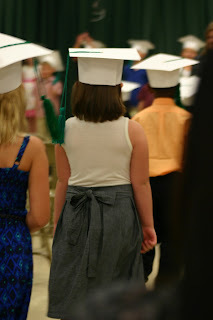 we are so proud of the young lady that she is growing into. she is a diligent student, an expressive artist, a rule follower, a sweet friend to everyone, and has the best heart and smile. i can't help but think about how fast she is maturing. she is independent and so very capable of so many things. these nine months have been full of growth and change, and also blessings and answered prayers. her sweet class singing about the fun year they had together. can this really be happening? she is almost done with KINDER!! this year she developed new friends all by herself. no longer am i the one that sets up the playdate and is there to coach her in her social situations. allison is her best friend at school. olivia chose well. allision is a precious little girl with a sweet heart and is faithful and loyal to olivia. watching their friendship develop has been such a joy (with a few bumps along the way too!). olivia and allison. such sweet friends. this year god was so gracious to answer my prayers by giving olivia a teacher that has a heart for christ. 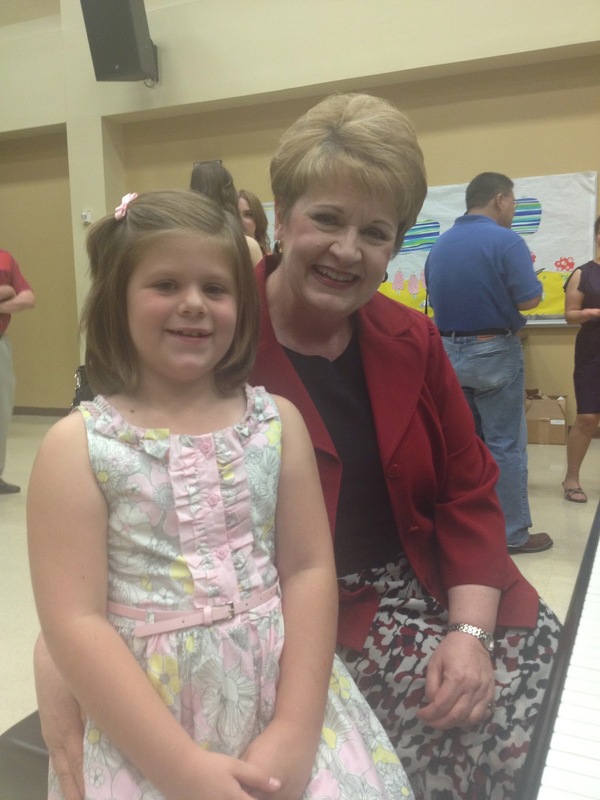 ms. pattillo was the best kindergarten teacher for olivia and really understood her spirit. i love that when olivia come into school the day after she had asked jesus into her heart and shared her decision with her teacher, she truly understood what a BIG decision that was and celebrated with her. then she wrote me the sweetest email and shared her joy with me. it is moments like these that only god can orchestrate. and this year has proven to me once again what an incredible family i am apart of. olivia continues to have the biggest fan club in the audience anytime she is on the stage. 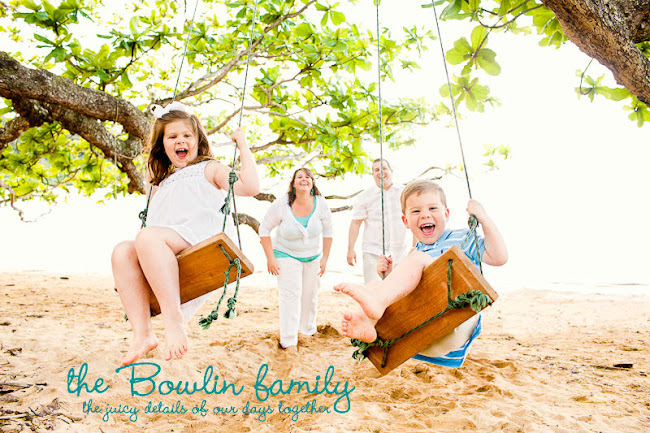 her family has loved, supported, encouraged, and been present throughout her year. she doesn't even know how lucky she is, but i know that they are the reason she is becoming the incredible young lady that she is. so blessed and grateful. 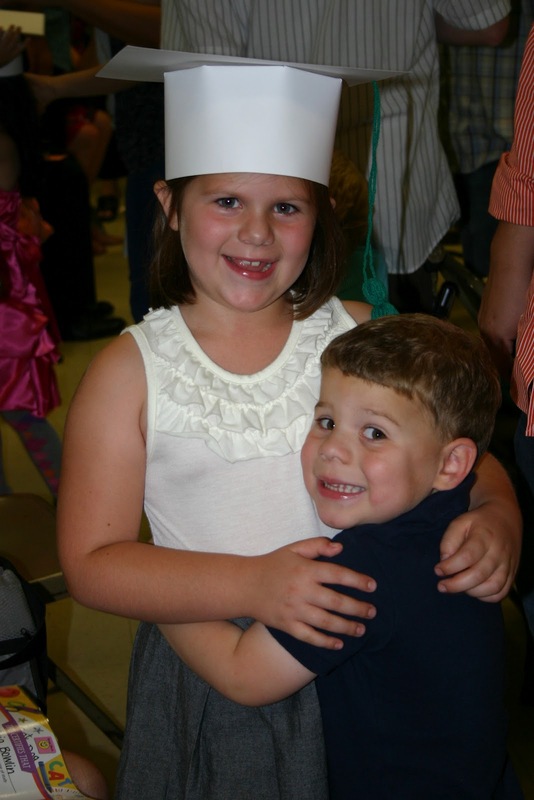 her little brother is so proud of her and looks up to her for so many things. olivia, we are so proud of you! may the lord continue to guide your paths and shape your heart in everything that you do. can't wait to see what amazing things he will lead you to do next year as a FIRST GRADER!! love you! was absolutely fantastic!! 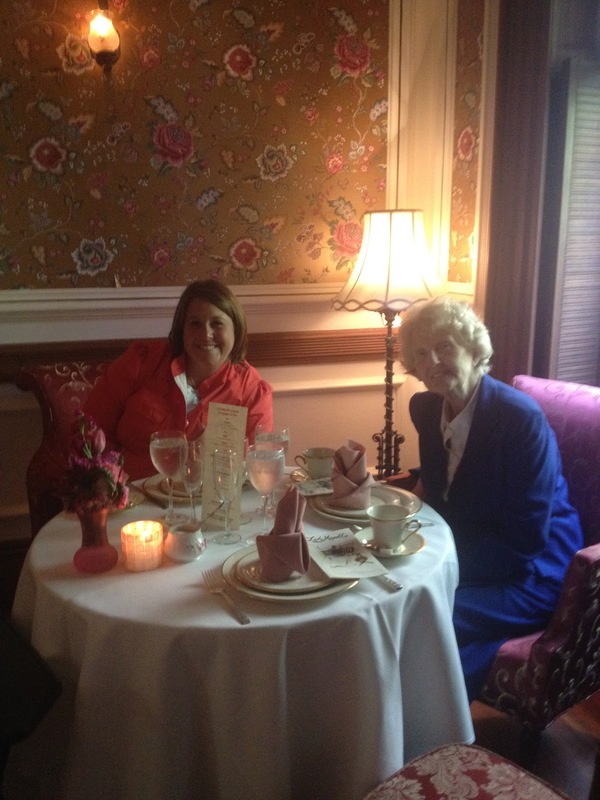 i have to call it a "ladies trip" as apposed to "girls" because my grandmother, gram lois, is just a proper lady. she loves and appreciates all things formal, fancy, and fine. gram lois has lived a fairly simple life, yet eats from bone china each day and prefers to eat with REAL silver flatware. so at age 90 years young, she decided that she wanted to see the world and travel a bit before the opportunity passes her by. it was decided that new york city would be the perfect location to experience some of the finer things in life- shopping, dining, the arts, and luxury accommodations. i was lucky enough to be given an invitation to this "ladies trip." 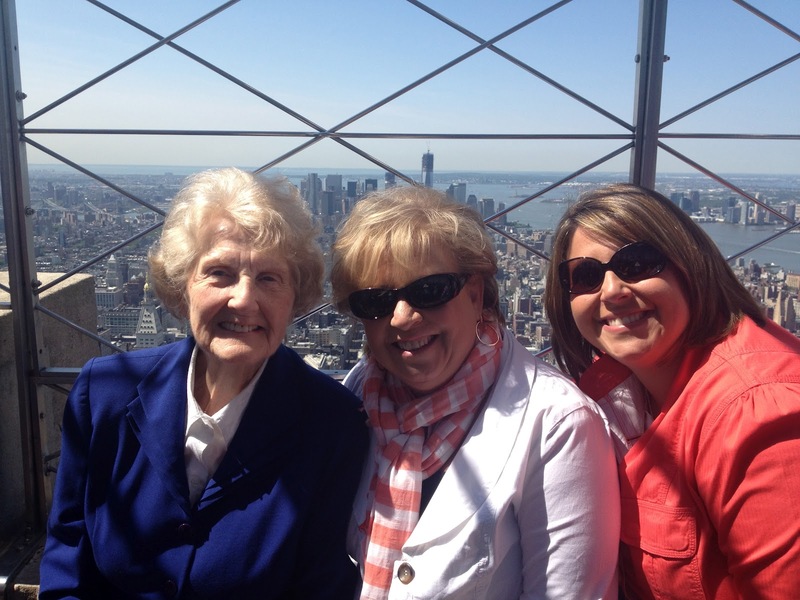 it was a fabulous few days filled with lots of luxury, but i will forever cherish the time that i was able to spend with my gram lois and mom. this was the view of the statue of liberty from our room. it was beautiful! and here was our room. gram and i have had more tea parties than i can count over the years, but this was the first one in a REAL tearoom. we each got to choose our own pot of tea and check out the fancy sugar. so lovely! we had second row center seats to WICKED. it was fantastic!! 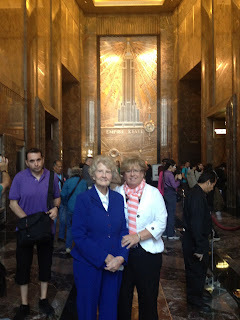 gram was in awe of the costumes, make-up, and the set. she LOVED the music and the story. because the theater ended up being one of her favorite things, we decided to go to another show. 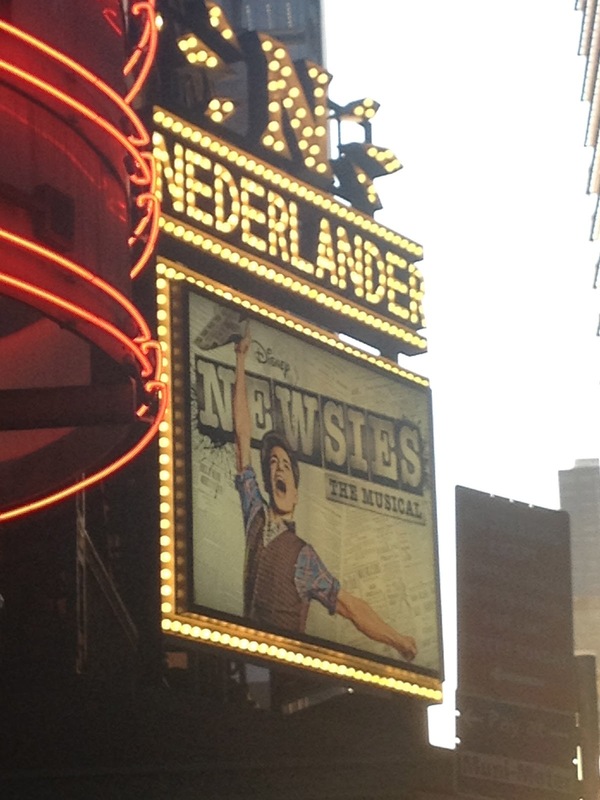 NEWSIES. so great!! we toured the 9-11 memorial. such an emotional and powerful experience. we were humbled by our two tour guides that shared their personal stories from 9-11.
the view of the city from the top of the empire state building was awesome. gram really enjoyed our carriage ride through central park. we also enjoyed lovely lunches around the city, lots of shopping, five star dinners, relaxing in the lounge at the hotel, and some crazy cab rides. truly it was a trip i will cherish forever and i am so thankful for the memories we made together in new york city. where are we going next gram? you throw her a baby shower!! a very simple, yet sweet and special party for all her students to truly show how excited they were about baby tyler. ms. pattillo has been pregnant for the entire school year and due right as school is getting out. SOOOOO, her students have watched her belly grow and have truly fallen in love with the sweet little boy growing inside her. i was so happy that she allowed us to celebrate her and baby tyler. tableclothes+ set tables+ simple centerpieces+ some bunting= the classroom turned baby shower. ms. pattillo about to read the book of predictions about tyler's weight, height, eye color, hair color, how many bottles he will take, how many diapers he will use in a day. etc. the kids were so excited for her to read their predictions. most of all, when your daughter's teacher is pregnant you throw her a baby shower and hope that she feels loved. of course she took much better pictures. you can check out her blog and get her take on the celebration. the second semester of this year olivia had the opportunity to participate in kindergarten REACH. it is a pull out program once a week for 1.5 hours. she worked on higher level thinking, problem solving, and also did an in depth study of the brain. 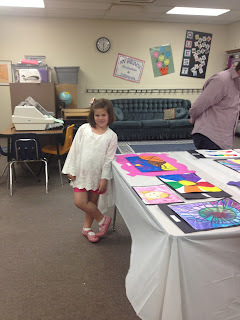 she loved this class and really looked forward to it each week. the last several weeks the students studied the "creative side of the brain" and several famous artist. after learning about each artist and the inspiration behind their works of art, the students created their own masterpieces. on the very last day of her REACH class the parents were invited to view the artwork and take a "gallery walk." now these pieces of art are filling the walls of our playroom. olivia is so proud that her art is on display in our house and they make me smile each time i see them. i know they will be pieces of art we will treasure forever. 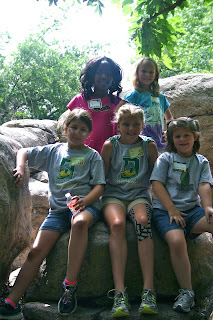 kindergarteners, fourth grade buddies, and animals oh my!! all year long olivia has had a fourth grade buddy that comes into her class to read and spend time with her. all the kindergarteners have one. it is a really sweet tradition at her school. 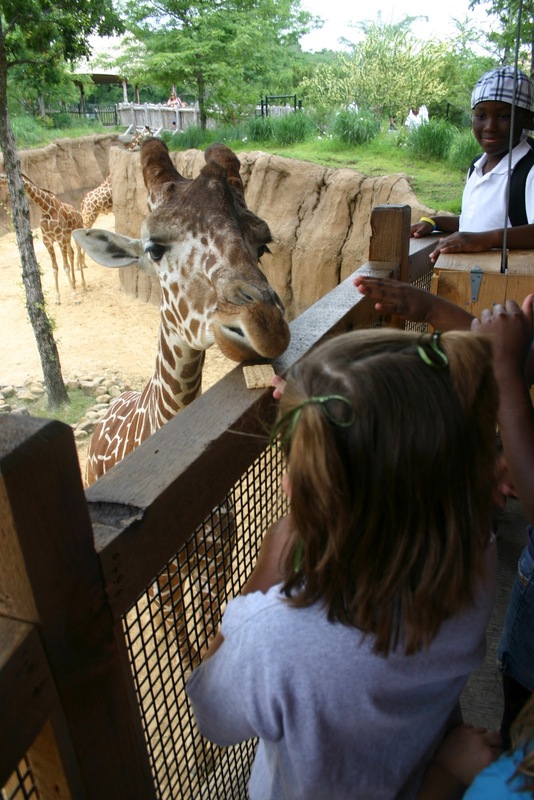 as an end of the year activity, the fourth graders and kindergarteners go to the dallas zoo. 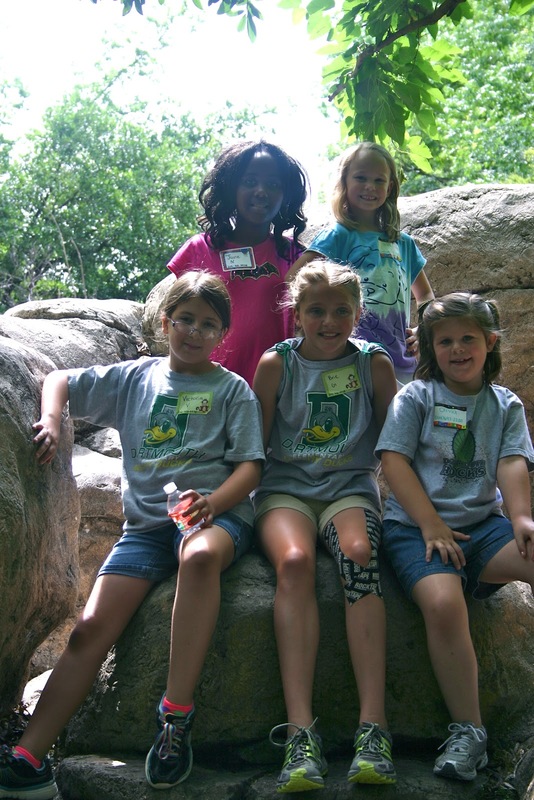 they experience and learn all about the animals. i was able to go as a parent volunteer. i loved getting to watch as o and her buddy, brie, spent the day walking, talking, and learning together. olivia and her classmate, ava, studying the map before we loaded the buses. olivia and brie all buckled in and ready for our zoo adventure. first stop the safari train. our group. 3 fourth graders and 2 kindergarteners, plus a mom and grandma behind the cameras. we got to feed the giraffes. they had long black tongues that made all the kids giggle. almost time to go home, but we had to get one more group pic by the elephant fountains. it was a long and tiring day, but we had lots of fun. the girls were great!! olivia's favorite animal was the white alligator. brie liked the hurricane experience in the reptile house. 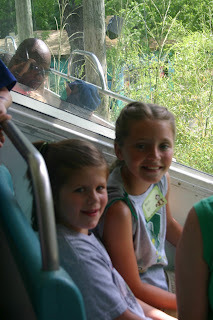 after returning to school olivia and brie together wrote about their experiences at the zoo and even did a report on kola bears.